Shirley Ann Little admits that she loves poetry since she was a child. She wanted to publish her poems after everyone kept on saying that she should write a book. It prompted her to write and share her poems in “The Spirit of the Lord Is Upon Me” (published by Xlibris). In the book, readers will find a lot of poetry about Christ and his love for his children. 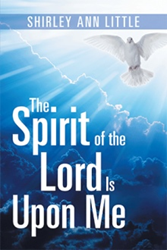 Readers will read about the power that he has given to them through his Holy Spirit. There are also prophetic poems given by the Holy Spirit. Shirley Ann Little was raised by her grandparents. She wrote poetry all of her life. She went to Rose University to become a nurse.